The inventive spirit of Jaeger-LeCoultre has led the brand to assert itself as a true benchmark of technical and artistic watchmaking. After a pre-SIHH “Rendez-Vous“, we discovered in Geneva the watchmaker’s latest novelties from various collections, and our top faves are the new Duomètre and Geophysic lines. Three new, sophisticated and original models join the Duomètre family this year. The Duomètre Sphérotourbillon, Duomètre Chronographe and Duomètre Quantième Lunaire all feature deep and intense magnetite grey dials with an opaline finish, appealing to men who admire assertive watches. The Geophysic on the other hand sees the introduction of a flying tourbillon to its Geophysic Tourbillon Universal Time, while the Geophysic True Second and Geophysic Universal Time are all about new interchangeable bracelet. The brand’s watchmakers came up with the perfect alchemy: a calendar watch that is as accurate as a chronometer. 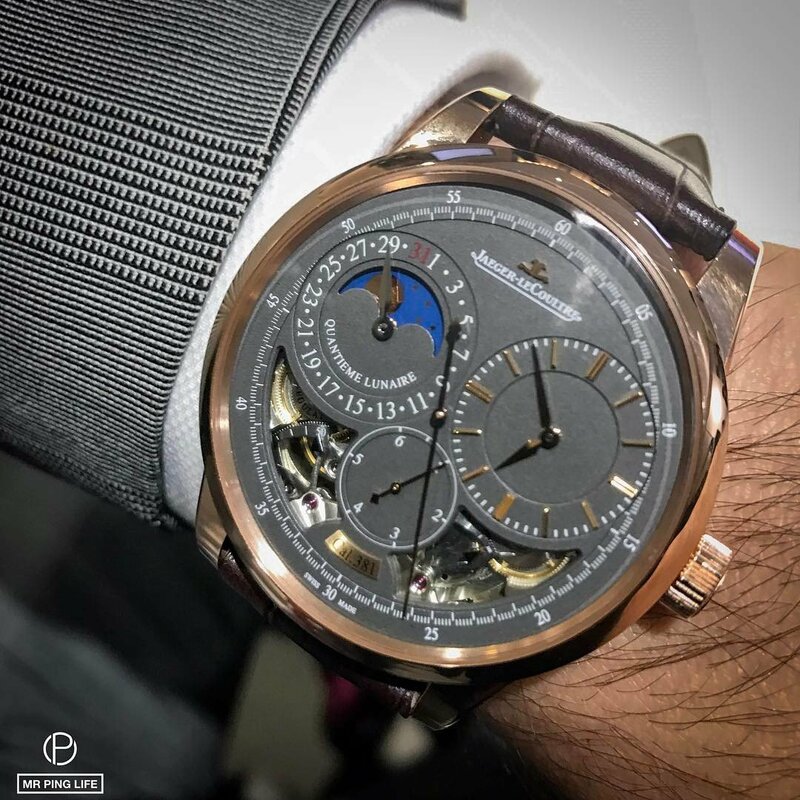 While the hours, minutes, seconds, calendar and moon-phase displays appear as they do on a conventional JLC timepiece, a prodigious movement beats inside the case and partially hidden from view; the Calibre 381 boasts unprecedented precision based on the Dual-Wing concept, and is nowhere close to conventional. The Sphérotourbillon boasts a striking design and a unique function: a tourbillon that can be set with total precision. JLC’s masters at work were able to create a tourbillon -beautiful and magnetic on the dial- that retains maximum precision, accurate to one second even while the time is being set. The watch’s multi-axis tourbillon, with its additional rotation axis, allows for a three-dimensional rotation movement compensating for gravity in all positions on the wrist may adopt. The model’s innovative design reflects an elegant, contemporary take on vintage pocket watches and is enhanced by its beautiful pink gold case. Two separate zones appear on the dial: the opening at the left reveals the secrets of the Sphérotourbillon, while to the right sits the main dial, indicating local time and date in a lower level all around the dial. 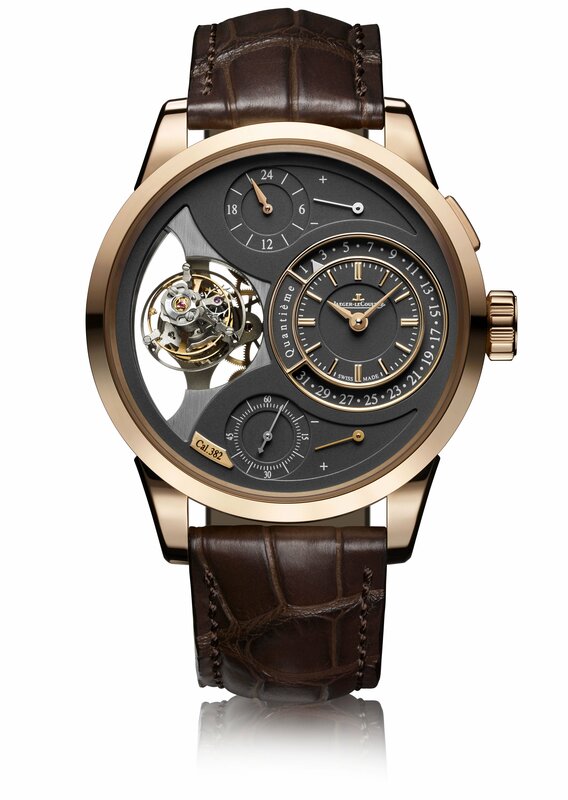 We love the tourbillon that looks like its suspended in mid air! The first Geophysic watch dates back to 1958 and was created in honor of the International Geophysical Year. Decades later, Jaeger-LeCoultre’s expertise allows wearers to read the time in twenty-four cities around the world simultaneously. 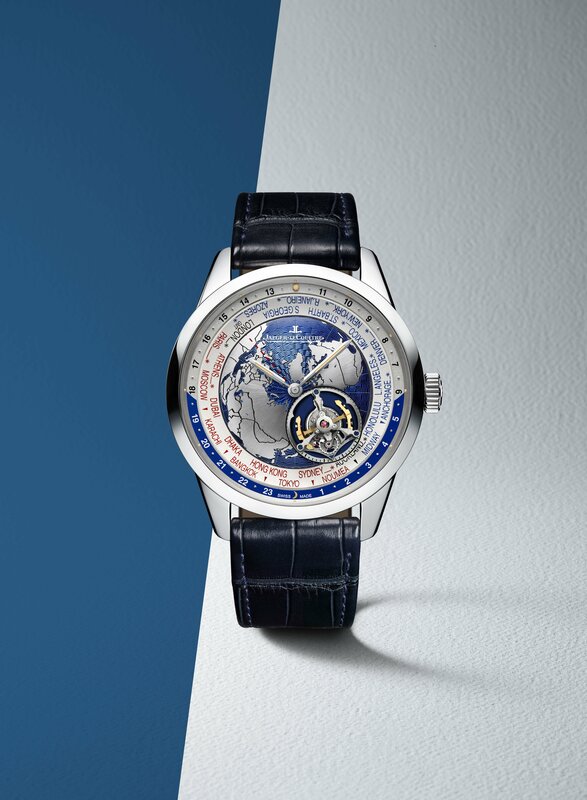 The lacquered blue dial takes you around the world in one glance through oceans and continents engraved in a sunray finish, with the world’s major cities standing out in blue and red letters. A single crown manipulation allows the setting of the time, and only the relevant hour needs to be adjusted to change time zones while traveling. The automatic Calibre 772 boasting the famous Gyrolab powers this timepiece that boasts outstanding accuracy. The limited series is available in 100 pieces. The Geophysic True Second stays true to the codes of fine watchmaking, to the second. A companion of frequent travelers, the watch is naturally and intuitively adjusted with an easy-to-use system for setting the time entirely coordinated by the crown. Available in pink gold and steel, the watch has a grained dial with a distinctively clean and clear display. 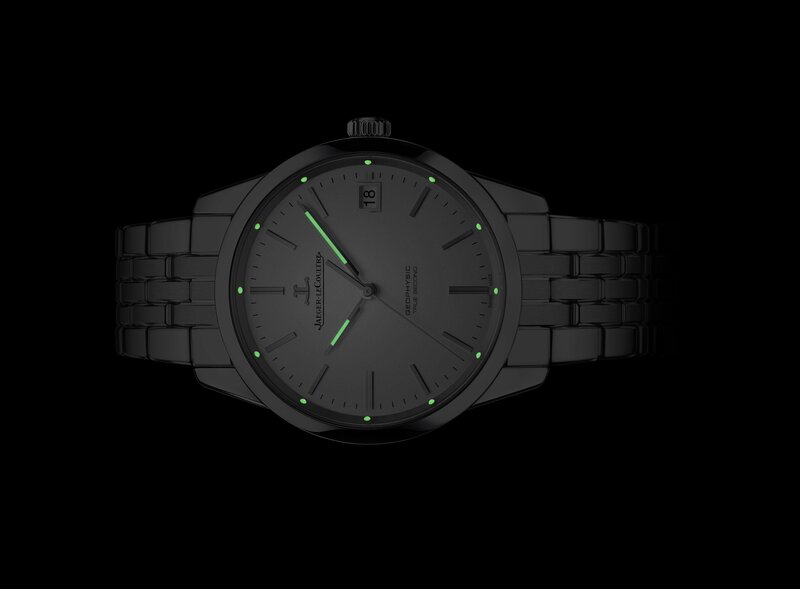 The steel version, with its luminescent points on the flange, and hours and minutes sword-shaped hands, has a more casual and “easy going” look than the other models in the collection. The name of the watch derives from the “True Second”, an extremely rare complication that isn’t often found in mechanical movements. That said, the second hand moves by “beating the second”; it literally performs a jump at each second. So, when you have time, take a second to check out this simple-in-design- yet complex-in-mechanism watch. A worthy successor to the 1958 chronometer, the Geophysic remains an iconic model for Jaeger-LeCoultre, which is why it is continually reinvented and revisited. Maintaining its simple and refined aesthetic, it has seen various mechanism interpretations, with added functions representing unparalleled expertise. We wonder what 2018 will bring to this legendary line. A Peek Before The SIHH Week!